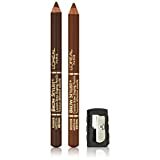 L'Oréal Paris Brow Stylist Designer Brow Pencil, Brunette, 0.045 oz. 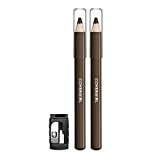 Loreal Paris Brow Stylist Medium Brown 335 Brow Shaping Duet -- 2 per case. L'Oréal Paris True Match Super-Blendable Blush, Baby Blossom, 0.21 oz. 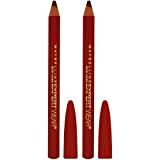 L'Oréal Paris Makeup Brow Stylist Definer Waterproof Eyebrow Pencil, Brunette, 0.003 oz.